Are you doing a booth at a festival or fair this summer? Do you have something out to parade or conference attendees? 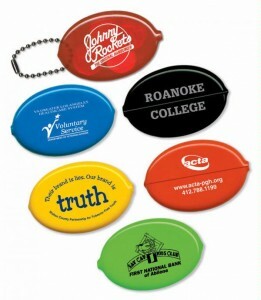 Want something cool to hand out that will help keep your name and logo in front of customers? Hand fans fit the ticket. Laminated for durabiity. Stick is 8″ long and affixed to the back side. Available in stock shapes-round, square, guitar, house, heart, helmet or leave shaped. Custom shapes also available with add’l die charge. 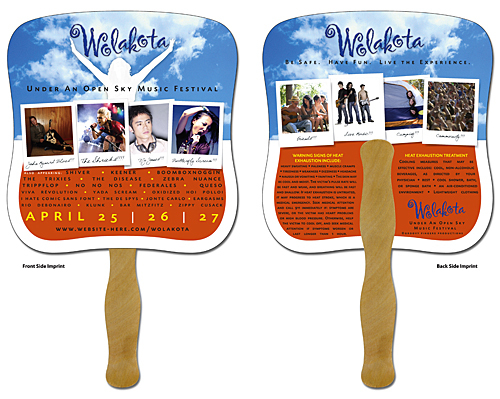 All fans have full color imprint on both sides to make you stand out hands down above the crowd. Useful, light to ship, fun to receive, hand fans can make a big impression this summer. Free set up, fully custom fans will put your information in front of your target market. There’s no time like the present to order your own custom hand fans today! Stock shape pricing: Min 100 at 1.57 ea, 250 1.04 ea, 500 .93 ea, 1000 .81 ea, 2500 .70 ea, 5K .63 ea.